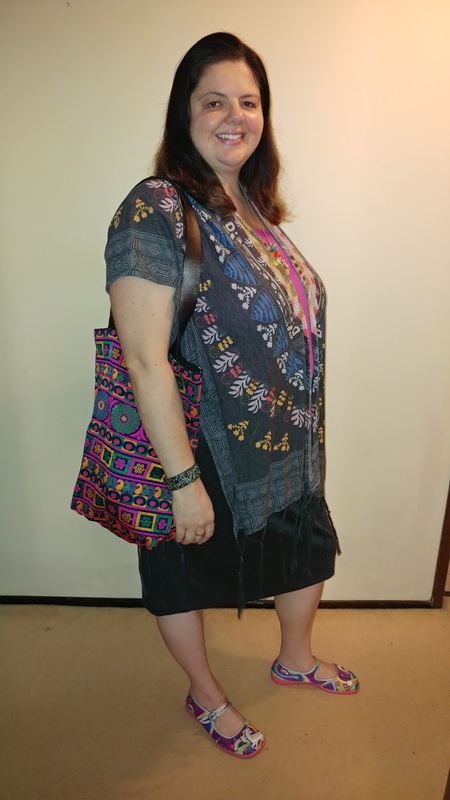 I really do feel my happiest self when I'm wearing boho clothing and accessories! To me, nothing beats the interesting textures, colours and patterns of bohemian inspired fashion. That's why I especially love going to various markets where creative people design and make their own clothing and accessories. Throughout my professional career, I have always had to "tone down" the brightness of my clothing and accessories and ultimately wear a corporate costume to work! That's why I love having a blog because I can always be authentic to my mood and style, without holding back! Not that my style is particularly weird or "out there" anymore, but some places I have worked over the years, would certainly consider unicorn shoes to be "crazy" and "boho vibe" clothing to be a sure sign that I must be on drugs!😂. Let me just clarify that I am neither crazy, on drugs or a walking and talking stereotype!😉. I wish blogs were around when I was in my late teens, when I wore some truly unique goth meets punk meets hippie outfits!😂Some of my past bosses would have been horrified! I guess what I'm trying to say is that in life, you cannot always judge a book by it's cover, can you?? Have you ever had people make assumptions about you based on how you dress? Were the assumptions accurate or way off? Let me know! I'd love to hear from you! I absolutely love this outfit. You can call it Boho Vibe or whatever you like as it is your blog so your choice. I do agree though and love it all. The kimono is gorgeous and I must say that obviously your Mom has good taste just like you, as she can seek out great gifts. 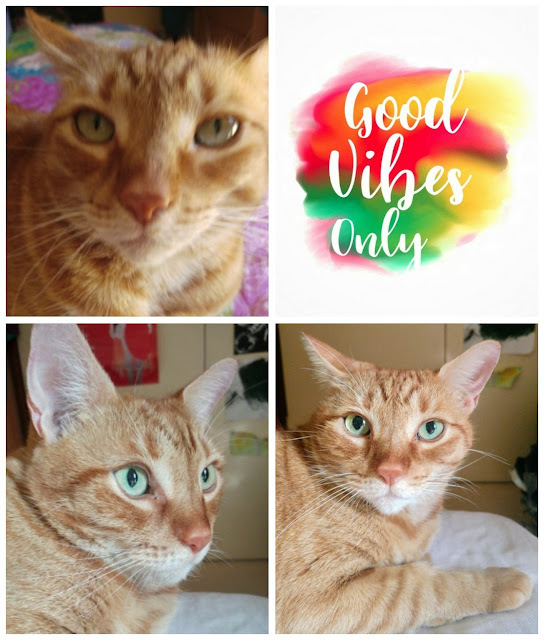 It is so true that you never can judge a book by its cover but the question for me is, can you judge a cute cat by her photos? 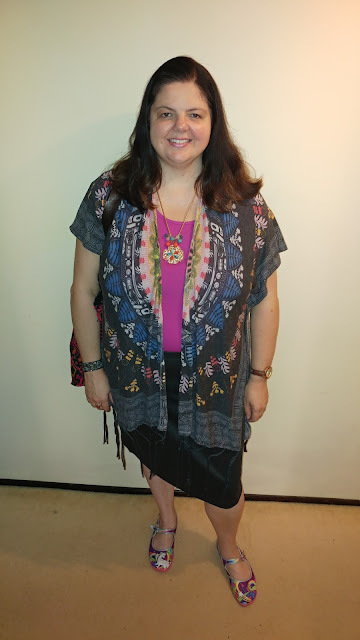 Your kimono is so fun and I love the magenta tank with it! 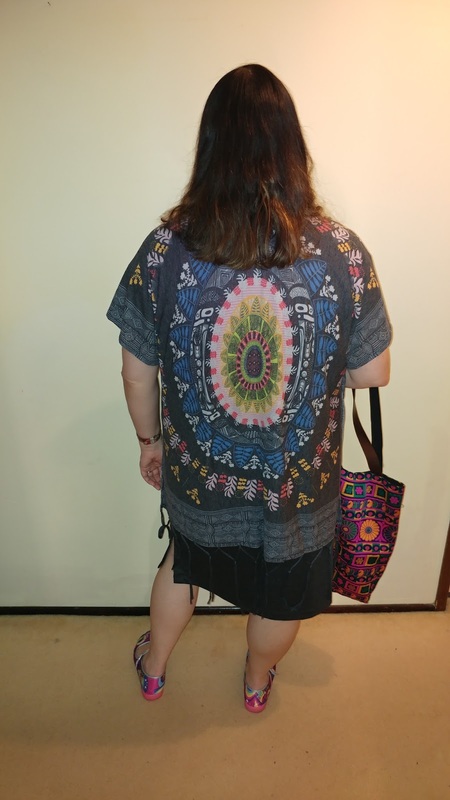 :) I really like the boho style, although I don't wear as much of it as I'd like too. 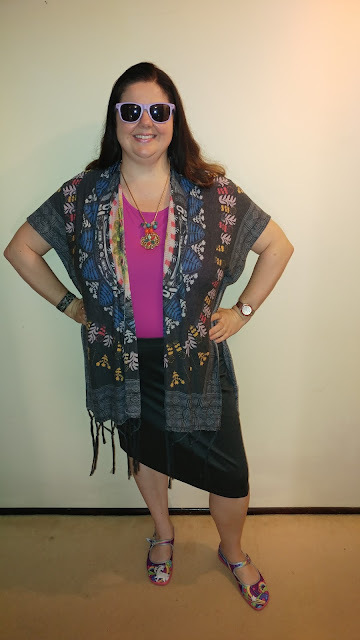 Kimonos are a summer staple though, and with the warmer weather here in autumn I've still been able to wear them now and then which makes me happy! :) I'm enjoying getting a few more wears out of my summer pieces. I've had a lot of feedback on my outfits, but it's been good in a way as I've been able to find my own style while thinking about how it's perceived by others. I wear what makes me happy in the end, but while I was younger input from others helped me see things I couldn't myself :) It was a comment from a friend that made me change up my workwear style a bit and actually start to enjoy more feminine pieces, turns out I love skirts after being a tomboy growing up, haha! Oh, post titles, don't get me started - wait till you've been blogging for 10 years! Then they start getting weird...ha ha! I would hate it if I had to tone down what I wear to work! The last time I job-hunted, I was applying at lawyers' offices, and I just couldn't imagine having to be staid and plain. No way! I love this boho vibe on you - funky shoes! Such a fun, lovely outfit! Yes dressing for work can be challenging and interviews are even worse. This is a fun shawl and yeah I would describe it as boho too. You look great! I love this boho look!